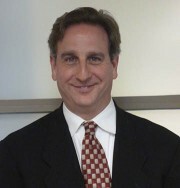 Steven is Second Sense’s chief executive officer. He oversees Second Sense’s programs, fundraising and administration with a goal of providing superior services to as many people with vision loss as possible. Steven earned his degree from Syracuse University and has worked in the non-profit sector for nearly 22 years. Polly is the Director of Rehabilitation Services. She oversees all of service programs as well as managing and instructing in the Independent Living Services department. Polly has been a Certified Vision Rehabilitation Therapist for over 16 years and also has her qualification as an Orientation and Mobility Specialist. 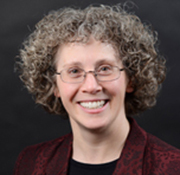 She received the 2016 Elizabeth Lennon Meritorious Achievement Award from AER (Association for the Education and Rehabilitation of the Blind and Visually Impaired) International for her contributions to the field of vision rehabilitation and the Excellence in Rehabilitation Award in 2010 from the Illinois chapter of AER. Kathy coordinates the marketing and community outreach for Second Sense services and assists in program development. She is the editor of our monthly client newsletter, Making Sense. As volunteer coordinator, she oversees over 35 Second Sense volunteers who assist in the delivery of Second Sense programs and services. 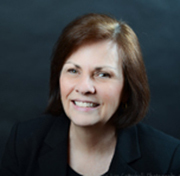 Kathy earned her Certification in Volunteer Administration in 2014. She coordinated Second Sense’s process to earn designation as a Service Enterprise organization — the first in Chicago. Rachael provides orientation and mobility training to our clients both at Second Sense and in their communities. Rachael is originally from Elmhurst. She earned her Bachelors Degree in Orientation and Mobility from Stephen F. Austin State University with a minor in Spanish. 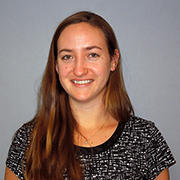 Rachael comes to Second Sense from Columbia Lighthouse for the Blind with over five years of experience teaching O&M all around the country (Texas, Colorado, South Carolina and Washington, DC). Four of those years include providing instruction in Spanish. 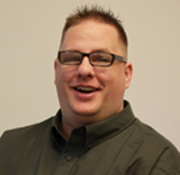 Cody Froeter is a Certified Vision Rehabilitation Therapist. He meets with clients on an individual or small group basis at Second Sense or in the community. 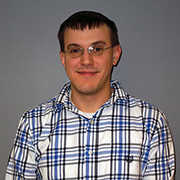 Cody works with clients in the areas of independent living skills and assistive technology. Cody earned a Bachelor’s degree in Psychology from Monmouth College, a Master’s degree in Vision Rehabilitation Therapy, and received his certification in 2016. Brian works with clients who come in to learn about the daily living aids that are available to help make their lives easier. He first came to Second Sense to hear about our services and then began volunteering in the product center and our accounting department. Brian loves working with all the seniors who come in to Second Sense — offering support, understanding their frustration and helping them feel better about their vision loss. Cheryl oversees the fund-raising and communications for Second Sense. She enjoys matching the needs of our members with our donors’ desire to make the world a better place. Cheryl is a Certified Fund-Raising Executive, earning this designation from CFRE International in 2005. She has a Bachelor of Science degree in Marketing Communication from DePaul University and a Master of Arts degree in Clinical Psychology from Roosevelt University.